So, it’s 7 AM. I got plenty of sleep last night, but I didn’t actually go to sleep until my body was worn out. When I woke up this morning I realized why…. I’m nervous about today. Not quite like I was for the Northbridge tournament, but it’s the same feeling. Stress. It used to be this way in Speech & Debate, too, as well as when I took the stage, or the pulpit. Here’s my routine for this, saying the following internally to myself: I am nervous, and this is fine – that means my energy levels are charging up for the best chess I can play. I will play my best chess today. I will use my time well, and my opponent and I will play out our game. If I win I will rejoice, and if I lose I will realize I played the best game I could. Either way will be fine. I am lovable and capable, and I am capable of winning at chess. Then I read through my Everything I Ever Needed to Know I Learned From Chess, and recognize its meaning both to Chess and to Life. Then I blog a little bit ( ) and I’m a little less nervous for awhile. Time to eat a good and healthy breakfast, and get my things together to go. Arrived on time, played one of the players I know, rated 1093, from the Bloomington Scholastic scene. I lost with White on Board 7. It may have been one of those “I got too cute by half” games. We’ll have to see in post-analysis. Rght after the round I had time to run out to my car, scarf my lunch, and then it was 12:00. So it was back into it again. On board 9, lowest board, I won with Black against a player rated 546. I traded Knight for Pawn in the first three moves. But putting me on the defensive pays off – I later won a Rook almost for free. Then traded Queens off, promoted two pawns (losing one to take out his Knight / was up materially a Rook and two pawns at that point,) and a Queen/Rook rolling barrel to checkmate. Then it was now. I have about a half hour before the scheduled next round start. More to come…. Remember that part in Star Wars when Luke manages to shoot down a Tie Fighter as they escape from the Death Star? Remember Han’s advice to Luke? Round 3 was a loss with White, against a scholastic age player. I don’t have his rating – I will post that later…. I tried a Ruy Lopez that went south on me. 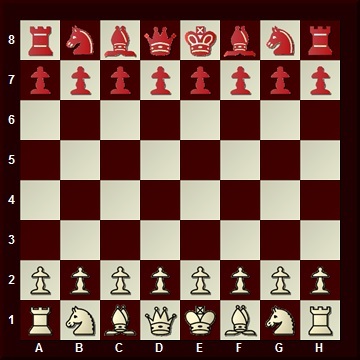 I was feeling pretty good about it at first – IIRC I opened a diagonal where his Queen could get my Rook for free. But then he started, well, acting his age a little. (As in distracting over the board.) I guess he felt pretty darn good at beating a 40 year old patzer. Whatever. But Bonus! The tournament is being played at Lakeview Museum. They have a free planetarium show at 3 PM that lasts about 10 minutes on the Winter skies. So I’ll check that out, as the last round doesn’t begin until 3:30. Even though I’m 1 for 3 so far, I get scientific discovery knowledge of what I can see when I look up at the night sky. Cool! As to the last round, well, it was another loss. I had White, essayed an Italian against a 546 player and managed to lose it. Oh, well. Another 1 for 4 tournament…. It is hard, immediately after defeat, to fnd ways to enjoy one’s chess. But I’m sitting here in the tournament hall watching others play. I had one win – which is more than some other players here (at least one who had zero points received a fourth round bye.) The action is indeed intense. And, as time passes on, that one point looks better and better. And speaing of byes, time to post this and head home. Post-tournament post when I get there. Actually, I liked the drive home very much. Sun just going down, eating two hot dogs from Circle K for 99 cents each (relish, onion sauce, ketchup, mustard,) classic rock on the radio…. And now, after it’s done, the last loss (and all of them,) put into proper perspective. It was an enjoyable day! I didn’t take time before this to note all the faces there that I recognized. The Walbert Brothers, Sam Heil, Evan Johnson… one other person I just can’t recall right now (Sorry!) from the Bloomington Normal Area Scholastic Chess group. From Colley’s Chess Cafe and Tri-Cities Chess Club: Rob Nunez, Dennis Bourgerie, Garrett Scott. From outside the area that I recognized: Randy Crum (whom I’ve lost to before…) and David Long, among others. Garrett was kind enough to introduce me to a few other players, as well. I’m ramping up to my second regular time control tournament this upcoming Saturday, so I’m now going into tournament prep mode. The next couple of nights I will be doing some last study on areas of improvement, followed by a no-chess night on Friday – if I follow my plan, of course! Which pretty much means no blogging before a quick post-tournament post on Saturday. As to tonight, I did stop by Colley’s. Weather was just too bad for me last night (hence the video blogpost.) Managed to lose three games, a G/5 blitz, a G/20 regular, and a “wild” variant against a very young player where I had nothing but pawns against a full array. (Which was good training drill for me on pawn structures and management…) I then ‘lost’ a race to set up the array. The Array In All Its Glory! Hope everyone had a good MLK day, and that you were able to enjoy your chess! I did by floor directing a couple of sections at our annual scholastic tournament. It was very enjoyable – especially as I was charged with the Junior High section, which is generally regarded as the easiest to direct. (And a Thanks “shout out” to Garrett Scott, Chris Merli, Jeff Smith, the Computer Room staff, the scorers and floor assistants, everyone else I missed, and our players!) When I get a chance, I may blog just a little about the whole thing as well as the kinds of rulings I was asked to make. But I’ve got some plans for today, a rest day I have off. Not to mention a reload, as this next Saturday I am TDing at another scholastic. If I do get time to do things chesswise over my day off it will probably be setting up and recording another video of one of my games. I am also really glad that I took today off as paid time off from work in addition to yesterday. At the Twin Cities Club last night at Colley’s, I don’t think any of us who were both there and at the tournament had a lot of energy for playing. Live From Colley’s – NOT On Tape! Entries (RSS) and Comments (RSS). 23 queries. 0.590 seconds.